Published: Nov. 9, 2017 at 08:41 p.m.
Seattle Seahawks safety Kam Chancellor forces Arizona Cardinals running back Adrian Peterson to fumble on the play, and the Seahawks recover the ball. Published: Nov. 27, 2016 at 07:02 p.m.
Tampa Bay Buccaneers QB Jameis Winston is intercepted by Seattle Seahawks safety Kam Chancellor in the end zone. Published: Nov. 20, 2016 at 05:57 p.m.
Seattle Seahawks safety Kam Chancellor steps in front of a pass thrown by Philadelphia Eagles quarterback Carson Wentz for the interception. 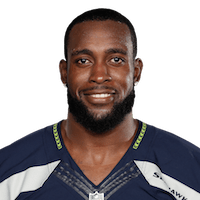 Published: Nov. 13, 2016 at 11:31 p.m.
Seattle Seahawks safety Kam Chancellor forces a fumble on New England Patriots wide receiver Julian Edelman and Seahawks cornerback Richard Sherman recovers.